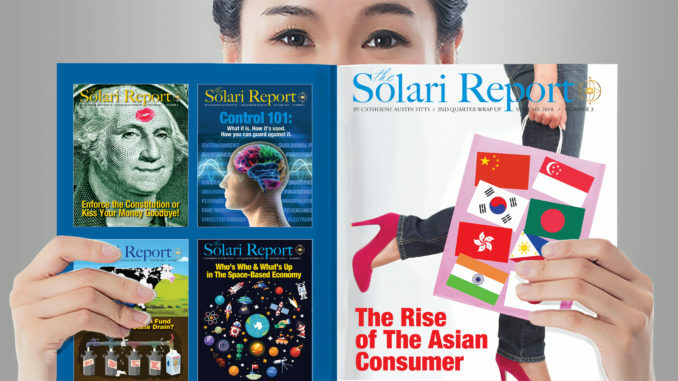 The rise of the Asian consumer will have a powerful impact on your life, work, investments, and community for years to come. Asian growth is driving many current trends, from the rise of megacities, to the heated competition to produce self-driving cars, to wild swings and mergers and acquisitions in pork, wine, and other agricultural markets, and to scores of Western schools adding Mandarin to their curriculum. It is also inspiring fierce competition in currency and financial markets, leadership in technology and space, and growing trade wars. The goal of our 2nd Quarter 2018 Wrap Up is to help you understand what is happening and to inspire you to anticipate what it can and will mean to you. I will look at the impact on economics, financial markets, geopolitics, and consumer products as well as local communities– as scores of successful Asians and their children study, invest, work, and immigrate globally. I knew how important this trend was before I started to write the 2nd Quarter 2018 Wrap Up. Having spent the last few months studying it in depth, I appreciate what a complex, fascinating topic it is – and how valuable it will be for you to navigate the changes underway. Make sure to check out the 2nd Quarter 2018 Wrap Up web presentation. We have an excellent list of movies and documentaries. My bibliography will publish on July 27th with the audio presentation. The written presentation will follow next week. In Let’s Go to the Movies, I will review Shenzhen: The Silicon Valley of Hardware. The most innovative computer hardware is being developed, traded, and used in the city of Shenzhen, a special economic zone in Southern China that forms part of the Pearl River Delta megalopolis immediately north of Hong Kong. Computer makers and software developers from all over the world come to Shenzhen to take an advantage of the fast turnaround of their ideas, and the unlimited pool of tech know-how and electronic components. An open-source philosophy prevalent in the Shenzhen IT world directly opposes the US companies’ policy of protection of intellectual property. There will be no Money & Markets this coming week as this week is the last of the month. Post your questions and stories for the following week here – I will be speaking with you from Zurich, Switzerland.